Expand the Hive (2008) 5 min. When I moved to Santa Cruz in the Summer of 2007, I became obsessed with a certain trichord. It was constantly lingering in my head. 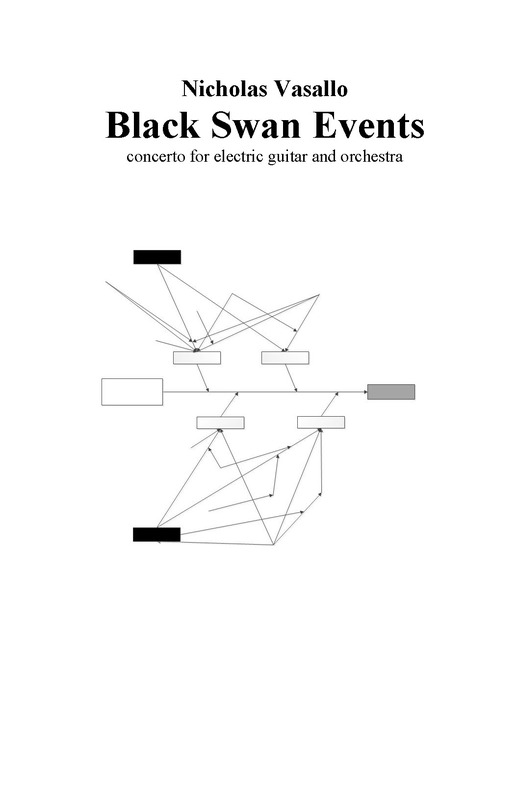 I eventually decided to compose an exercise exploiting allthe transpositional and inversional possibilities along with its natural motivic aspects. While the construction of the compositional space was quite systematic, the actual composition and “fleshing out” of the material was an act of proclivity; strictly intuituve. This piece is a giant expansion of the cell. I composed the introduction separately from the bulk of the material…I felt thatthe beginning must sound like a powerful force, slowly starting up and eventually engulfing everything in its path. 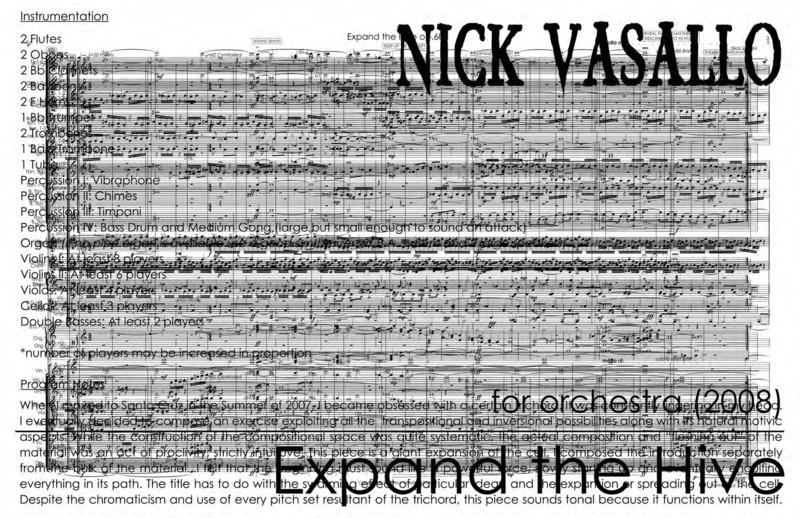 The title has to do with the swarming effect of particular ideas, and the expansion or spreading out of the cell. Despite the chromaticism and use of every pitch set resultant of the trichord, this piece sounds tonal because it functions within itself.